Recently, a number of Japanese companies have started to invest and/or expand their business activities in Vietnam. In response, we have opened two offices in Vietnam, one in Ho Chi Minh City and one in Hanoi. 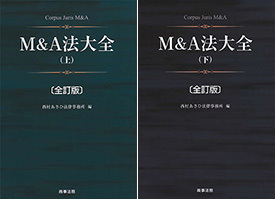 Our firm’s Japanese attorneys, working together with a select team of local Vietnamese lawyers at our offices and from leading law firms in Vietnam, provide a full range of quality services concerning corporate activities of Japanese or non-Japanese companies relating to investments and financing, business alliances, infrastructure construction, labor, compliance, intellectual property and ongoing regulatory compliance, etc. By increasing our firm’s engagement in the local environment of this complex and dynamic country, we can offer our clients an array of highly focused legal services that are specifically adapted to the needs of investors in neighboring countries including Cambodia, Lao PDR and other ASEAN countries. Our expertise is unparalleled within the region due to our unique position as the first Japanese law firm to establish and maintain a permanent presence in Vietnam. Our consulting activities with local government agencies on legal policy, and an ongoing seminar series on local economic development issues for our Japanese clients, are just a couple of examples of our commitment to strengthening economic ties between Japan and other Asian countries. Having now established ourselves firmly in Vietnam, we are able to provide our clients with services they can rely on, grounded in years of experience in the mature Japanese business markets, and with vision, to help chart their future course through the young and rapidly expanding investment markets of Asia.